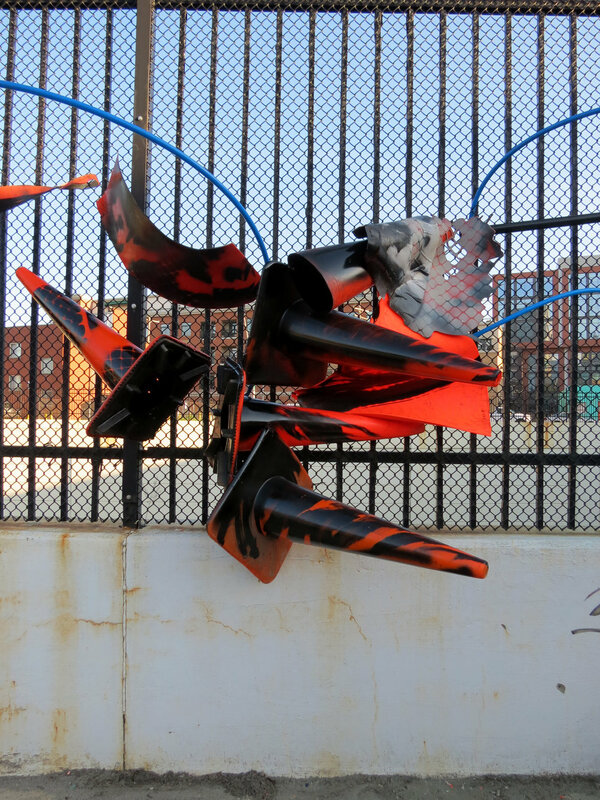 Coilover was included in the Shortpop Sculpture Series, a temporary public sculpture program made with retired construction materials donated by Paul Peterson Company. 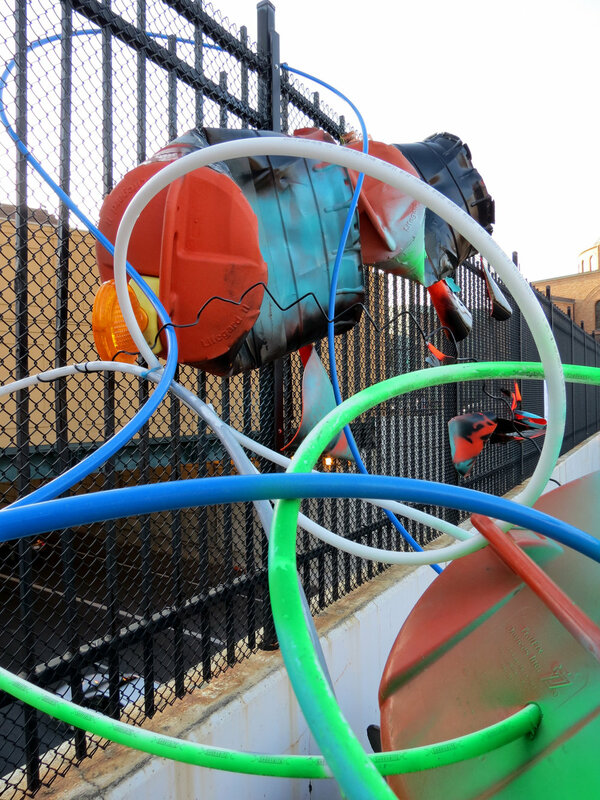 The Short North Alliance created this sculpture program as a whimsical visual response to the 2018 Streetscape Improvements Project in the Short North Arts District. 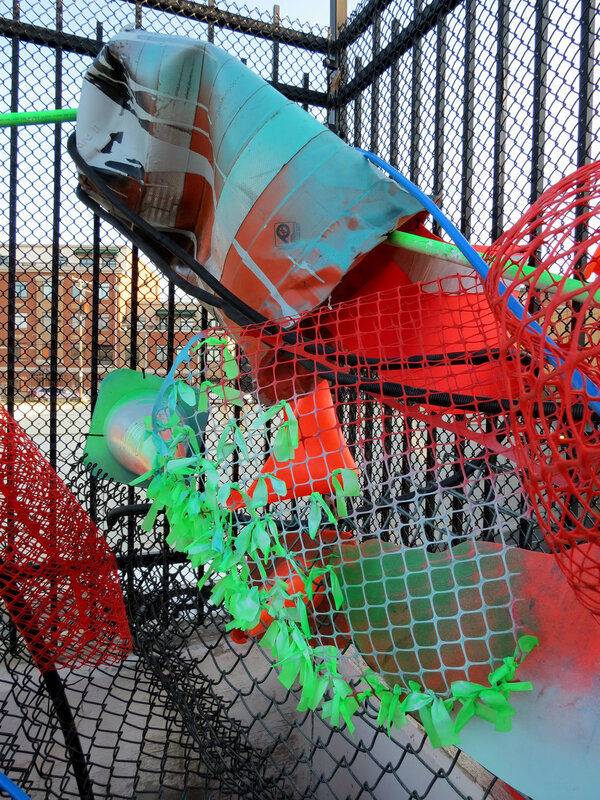 This piece, along with Strut, was on view for 2 months during the summer of 2018. Installation of Coilover took place on the large Goodale Cap overlooking an 8-lane stretch of highway 670 through downtown Columbus, OH. 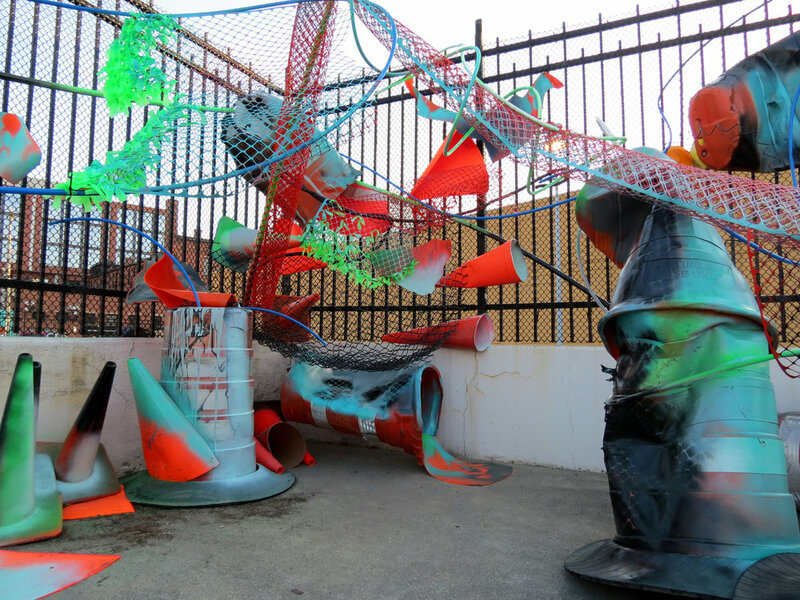 Strong wind gusts, rain, and other weather disturbances in this open area made installation a challenge. 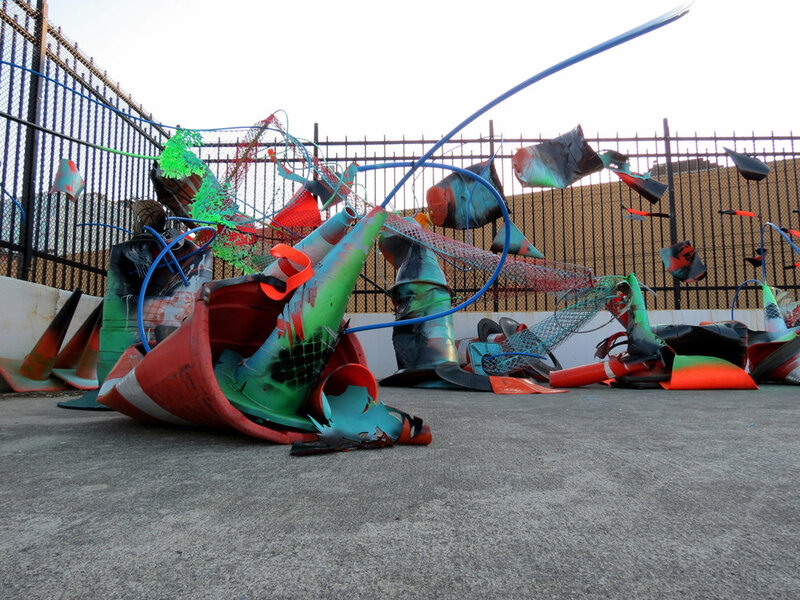 At times, the sculpture required handling on ladders 12 feet high, looking down on the traffic below with nothing but a metal fence preventing falls. 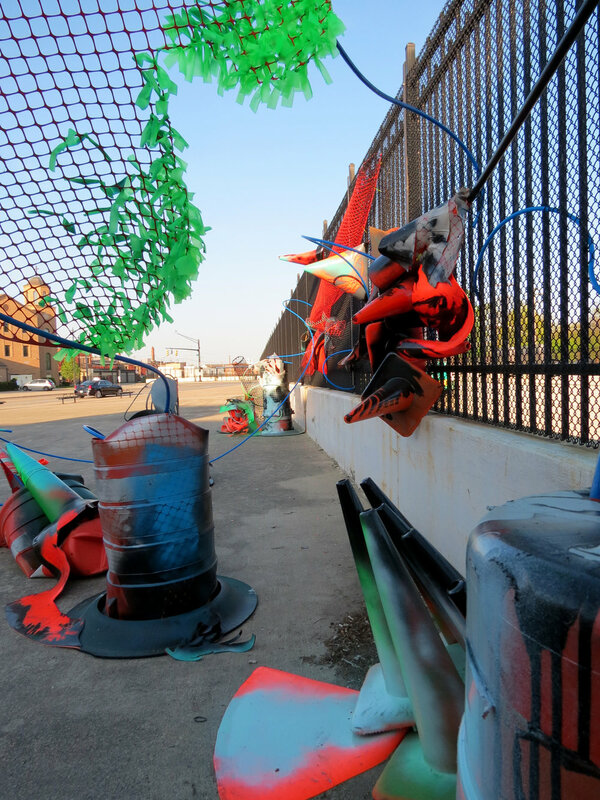 The painted cones and barrels were suspended from the black metal fence using nylon cord and heavy-duty plastic fasteners. 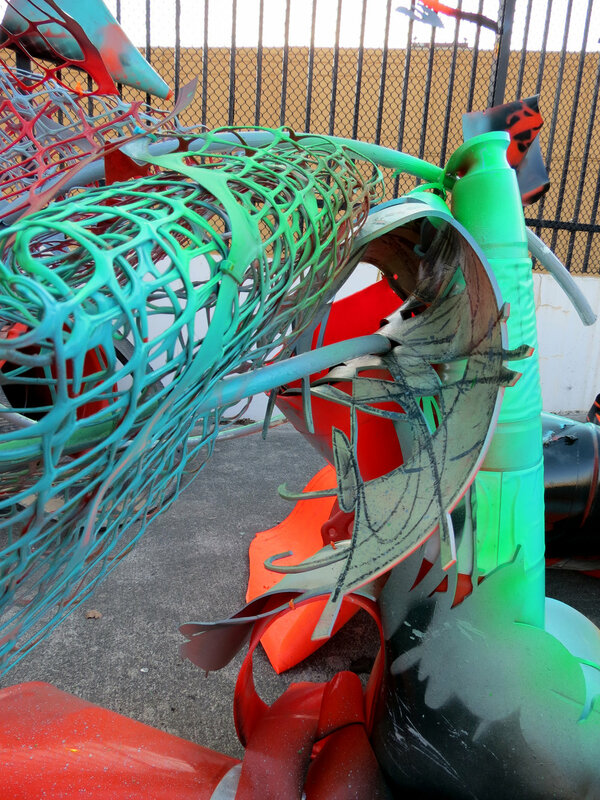 PVC conduit also helped secure parts of the sculpture and create calligraphic movement through the piece.